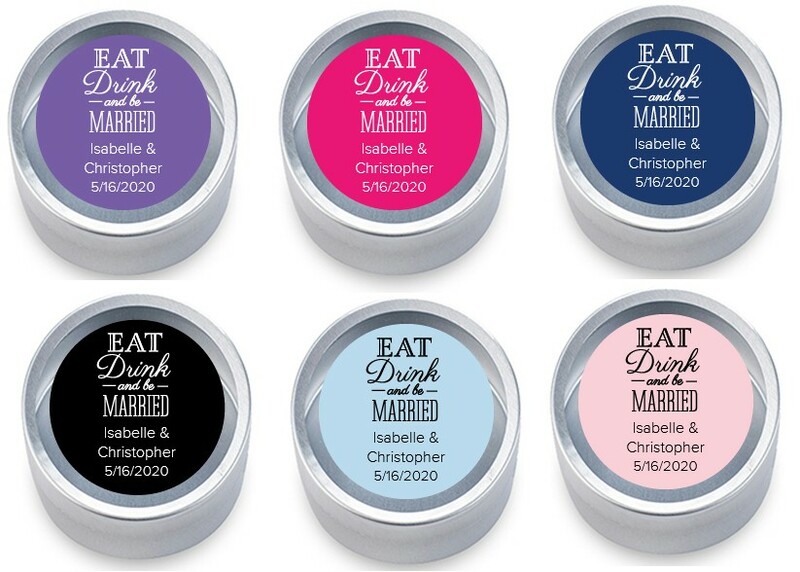 Personalized silver round mint and candy tin favors with personalized "Eat Drink And Be Married" stickers. 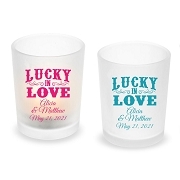 Add your favorite candy treats and personalize them with your names and date. 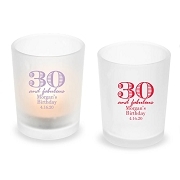 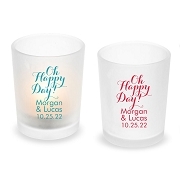 What a huge delight these pocket-sized party favors will bring to your wedding guests! 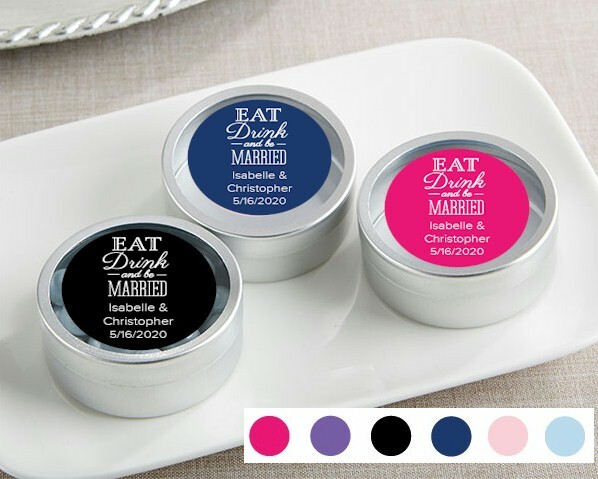 Great product Stickers were printed clearly.